Scope: This handbook considers best practice during initial design and how the practices chosen affect through life support of the installation. Looming and installation practices are a critical aspect of any aircraft electrical/avionics installation. In order to provide a reliable and efficient system it is important that the fibre optic installation is designed for reliability and maintainability. 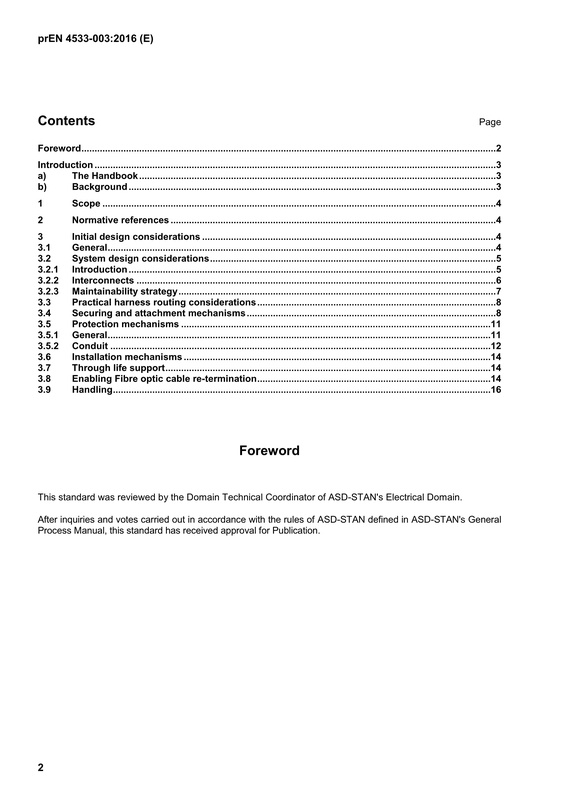 This document provides technical advice and assistance to designers and engineers on the incorporation of fibre optic harnesses into an airframe, while, wherever possible, maintaining maximum compliance with current aircraft electrical harness procedures. All topics that are related to Installation of optical cables are addressed in EN 3197. These rules are applicable for fibre optic cables and connectors defined by EN specifications.